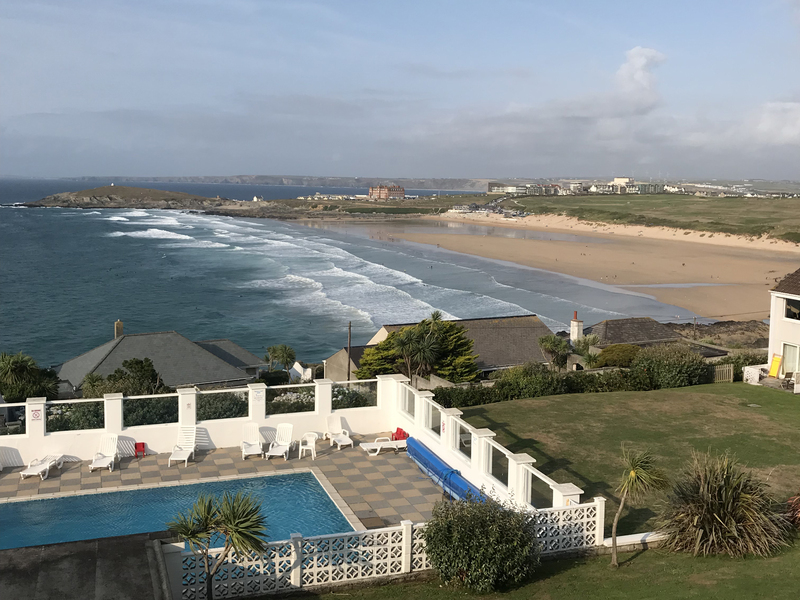 Fistral Surf is a first floor apartment overlooking Fistral beach in the Cornish town of Newquay. Comprising four bedrooms; a king-size double, and a twin, both with zip/link function, this holiday let can sleep four people. There is also a family bathroom and an open-plan living room with a kitchen, dining area and sitting area with fabulous sea views. Outside is off-road parking for 1 car as well as access to the outdoor heated swimming pool April- October. Fistral Surf is a luxury home-from-home in a lovely part of Cornwall. Gas central heating. Electric oven and hob, fridge/freezer, microwave, dishwasher, washing machine. TV x2, WiFi, DAB radio x2, DVD player, selection of games, books and DVDs. Fuel and power inc. in rent. Bed linen and towels inc. in rent. Travel cot and highchair available. Designated car parking for 1 car, visitor car parking available. Free unlimited use of shared outdoor swimming pool April - end of September. Sorry, no pets and no smoking. Shop 1 mile, pub 1/2 mile. Note: No Stag/Hen or similar.